Greek and eurozone officials have left a seven-hour meeting without even basic agreement on how to proceed in talks over the country’s debt crisis. Greece’s new leftist government and its international creditors failed to agree on a way forward for the country’s unpopular bailout programme, and will try again on 16 February, with time running out for a financing deal. The Greek Finance Minister and his colleagues were unable to agree on an extension of the bailout programme for Athens on Wednesday night at the Euro Group meeting. Greece must finally show willingness to make compromises, some commentators argue. Others call on the EU to develop an alternative to Greece having to leave the Eurozone if the negotiations fail. The Paris attacks of January 2015 gave rise to an emotion shared by millions of Europeans, while fueling some doubts on their ability to combat terrorist threats within the “Schengen Area”, write Yves Bertoncini and António Vitorino. A deal is reached on a ceasefire and withdrawal of heavy weapons in eastern Ukraine, after all-night negotiations in Minsk. Russia is imposing “unacceptable” conditions, says Ukrainian President Petro Poroshenko during a break from marathon peace talks in Minsk. Developing countries in Africa have been hit by the full force of the recent Swiss Leaks scandal. The Swiss branch of HSBC bank cost Tanzania, Senegal and the Ivory Coast over 30% of their national health budgets. EurActiv France reports. Jewish associations are criticising the composition of a new anti-Semitism commission in Germany’s Internal Affairs Ministry, made up entirely of non-Jews. But the Ministry responded it is “quite confident” it will be able to make the group more inclusive. EurActiv Germany reports. Greece’s newly elected prime minister, Alexis Tsipras, advocates debt relief and the abandonment of austerity. But, given that Tsipras and his Syriza party have made common cause with Europe’s most reactionary forces, both at home and abroad, it is a mystery why so many on the European left are rejoicing. If Europe is to remain an environmental leader and a center of innovation and competitiveness, it will have to abandon its ideological rigidness and embrace realistic, pragmatic solutions that can deliver environmental benefits without sacrificing economic development. Essential among these solutions is carbon capture and storage. These were weeks during which negotiations between Kiev and pro-Russian rebels were to take place, but it was all over even before talks began. What is worse is that fighting has increased very violently in the east of the former Soviet republic. “Bus stops, schools, kindergartens, hospitals and residential areas have become normal battlefields in the Donetsk and Lugansk region,” said Zeid Ra’ad Al Hussein, the U.N. High Commissioner for Human Rights, speaking of the kind of war now being fought in Ukraine; a Yugoslav-styled war one might say. This is perhaps the reason for which Angela Merkel and François Hollande have decided to travel first to Kiev and then to Moscow to re-establish dialogue and avoid a total catastrophe. The victory of the anti-austerity Syriza party in Greece’s general election has raised fears of a return to the uncertainty of 2012, when many thought that a Greek default and exit from the eurozone were imminent. But this time really is different. Greek Prime Minister Alexis Tsipras comfortably won a confidence vote on his plan to cancel a deeply unpopular bailout programme and challenge European leaders ,as both sides prepare for a showdown at meetings in Brussels this week. The European Union’s minority languages, such as Welsh, Frisian or Basque, should be accorded equal status with the official languages, according to a linguistic diversity road map presented in Brussels last week. EurActiv Spain reports. Manuel Valls, Prime Minister of France. Zaer Belkali/Demotix. All rights reserved.One month after the worst terrorist attack in Europe since Anders Breivik’s murder of 77 people in Norway, the contours of the response are becoming clear. Australia is to compete at this year’s Eurovision Song Contest as part of the the show’s 60th anniversary celebrations, organisers announce. Where is the deal between Athens and Berlin? 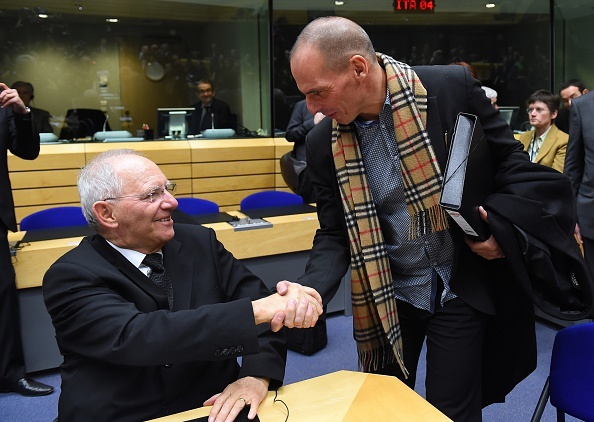 Can Varoufakis offer solution for the whole eurozone? French comedian Dieudonné M’bala M’bala on trial, January 28, 2015. Aurelien Morissard/Demotix. All rigths reserved. Yanis Varoufakis, the economics professor and new Greek finance minister, used a press conference with Wolfgang Schäuble last week in Berlin to issue an emotional appeal to Germans for solidarity; they, after all, knew from their experiences of the 1930s how bad the political consequences of an economic depression could be. Ukraine, Russia, Germany and France will meet in Minsk today to discuss a solution to the Ukraine conflict. However the contact group was unable to agree on key points on the night before the summit. In any case Moscow will lose out in the negotiations, some commentators contend. For others, concessions to the pro-Russian separatists would be a betrayal of European values. The Swiss arm of the British HSBC bank reportedly concealed more than 75 billion euros of undeclared funds belonging to foreign clients. The revelations were published on Sunday by an international investigative consortium. Time for the EU to finally put a halt to tax evasion, some commentators say. For others the outrage over Swiss tax practices is pure hypocrisy. Central and Southeastern European countries, largely dependent on Russian gas supplies, are starting work on a plan to build gas infrastructure, and should count on having at least three different sources of gas, the EU’s energy chief said on Monday (9 February). 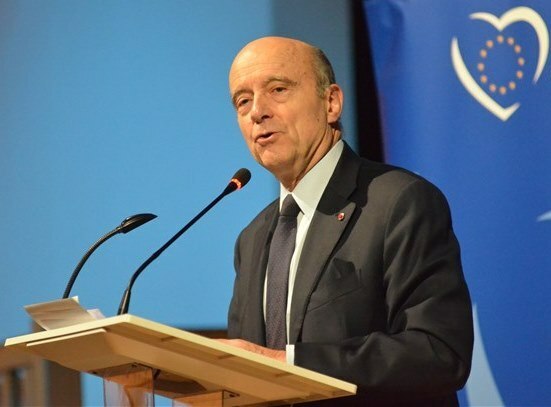 Alain Juppé, meeting in Branges, January 2015. In the current high season of EU-bashing, whoever stands for whatever election seems to be well advised to either join the chorus of Eurosceptics or avoid the topic altogether. Europe’s future now depends on something that seems impossible: Greece and Germany must strike a deal. But the two sides’ principled opposition – Greece demands debt forgiveness, while Germany has insisted that not a single euro can be written off – is not the main obstacle. Greece could turn to the US, Russia or China if it fails to reach a new debt agreement with the eurozone, its defence minister says. A close ally of Russia’s President Vladimir Putin warns the European Parliament that US arms supplies to Ukraine could trigger “all-out war”. The renewed outburst of large-scale violence in Ukraine has propelled the conflict to the headlines once again. These events should come as no surprise. Even before the recent flaring up of hostilities, the Minsk ceasefire was extremely precarious, with over 1,300 deadly victims between September and January. Yet as late as 10 January, Merkel refused to hold any new peace summitbefore ‘progress’ had been made. One would almost get a sense that European leaders are reluctant to truly commit to ending the bloodshed. Opposition is building to TTIP and with anti-austerity parties on the rise in Europe, the controversial deal looks increasingly endangered. See more of our TTIP coverage here. What are the effects of the EU Law? I will focus on the effects of EU law. That is what happens when the EU does act, when the EU does use its competences? However, before we can take a closer look at the actual mechanisms that give effect to EU law, I want to make sure that we’re on the same page about what EU law even is. EU law can be viewed as something distinct from national law. After the tragic attack in Paris that killed twelve people and injured many others in the Charlie Hebdo offices in Paris, Reset-Dialogues is offering its readers op-eds by our authors followed by a selection of articles, interviews and videos published on this website in recent years and months. Project Syndicate by Raquel Fernández, et al. Thirteen years ago, Argentina was in dire straits, with a currency pegged to unrealistic levels, high debt, and an unsustainable bailout program. Today, with Greece facing many of the same challenges, it is worth considering what the country’s leaders and creditors can learn from Argentina’s policy response. Authorities in a range of countries are considering examining HSBC’s actions in helping more than 100,000 wealthy individuals avoid paying tax. German Chancellor Angela Merkel and U.S. President Barack Obama met in Washington on Monday to discuss the escalating conflict between Ukraine and Russian-backed rebels, as Western world leaders debated whether to arm the Ukrainian military.